Leak Detector has over 10 years’ experience in finding leaks in both private and commercial properties and work closely with leading insurance companies. Dealing with some of the biggest insurance companies and brokers on a daily basis has ensured we have developed our services to meet the specific needs, standards and reporting requirements of the insurance industry. Find out more about our specialised workflow management system below, or have a look at our informative video. Our system ensures timely and accurate reporting back to the client and the insurer. How Does Leak Detector Work? Our leak detection service is based on authorised confirmation by email or phone to our office, with policy holder’s address and contact details provided to us. We’ll contact the client immediately to arrange works and repairs, minimising damage done to the property.We work with the policy holder to arrange a suitable time and date for a technician to attend the property. 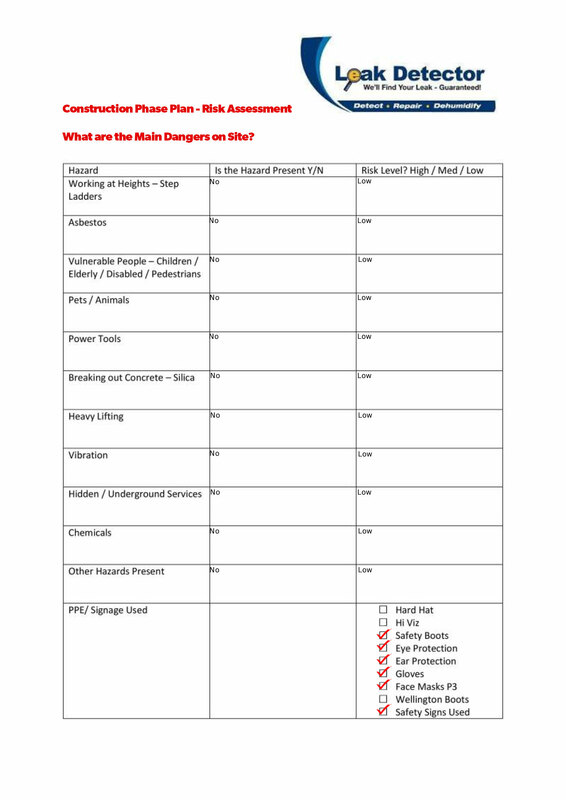 When on site, all technicians follow and comply with our quality, environmental and health and safety procedures, and all works are carried out with the latest equipment and technology.Our technicians work quickly to minimise damage to the property, and provide an immediate on-site report of findings to the personnel that authorised the job appointment. 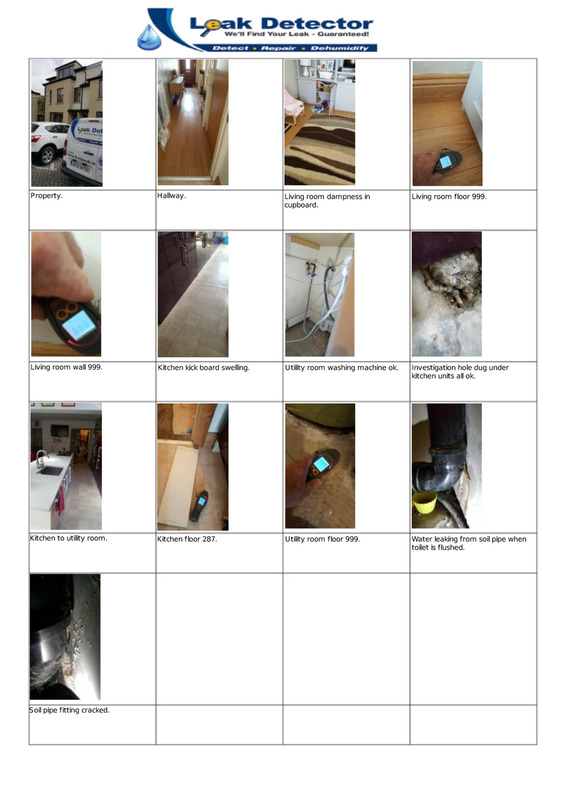 As you can see in our demonstration video, photographs are captured and a full report created which is signed-off by the customer. 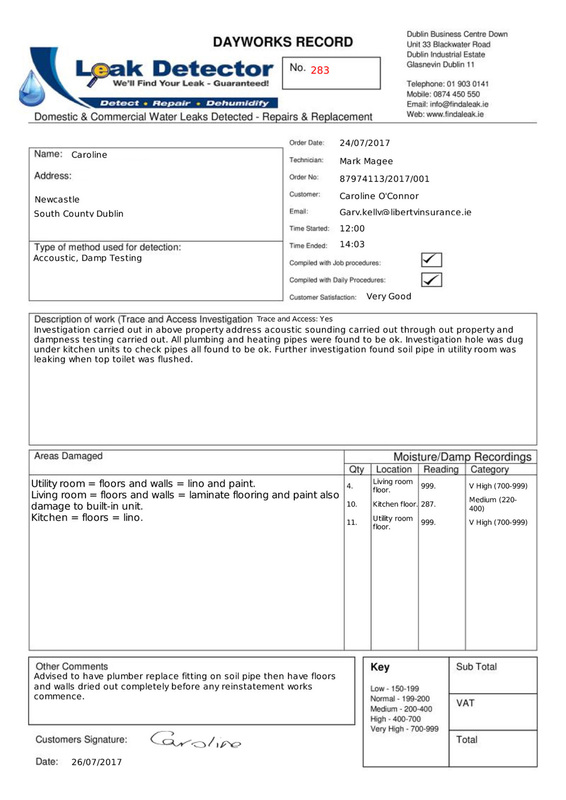 This will be emailed as soon as the technician leaves the site, ensuring information is relayed immediately for processing. Leak Detector’s specialised workflow management system allows the user to access all of their jobs in one location, through any web browser. 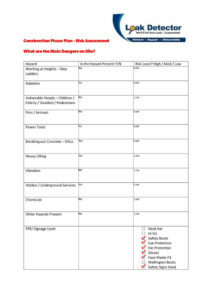 Leak Detector will email a unique link that allows you to see the status of every job that is in progress and the stage of the job. 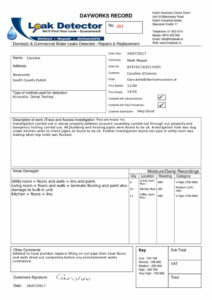 Once the assessment is complete, you’ll also be able to view the report easily here, along with any photographs taken on site. 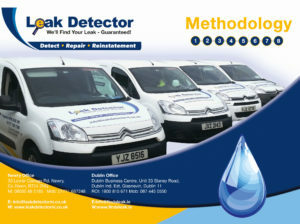 Leak Detector provides a complete, convenient service for the end user. ● You’ll be alerted when the assessment is complete through email. We guarantee to find the leak quickly, and deal with your client in a professional manner which focuses on solving the problem. The result is that you’ll save costs on damage due to our quick response, and your policyholder will have the peace of mind that their insurance provider is there to help in an emergency. To find out more about what Leak Detector can do for you, get in touch today. *The term “No Leal No Fee” applies only to appointed commercial contracted companies. This does not apply to Private / Residential Leak Detection jobs authorised by the homeowner.